If you always wanted your very own Curiosity Rover, but couldn’t afford the $2.5 billion to build and launch your own, don’t worry: NASA has your back. NASA recently released the plans to 3D-print your own mini Mars rover. It may not be able to fire lasers, send back amazing science and pictures, but it will look really cute on your desk. The British Museum, the Metropolitan Museum of Art and the Smithsonian Institution have all made 3D models of artifacts from their collections available for printing. The National Institutes of Health is even in on the game, with biosciences-related models available for print. But If you’re looking for more out-of-this world designs, check out NASA’s growing collection, which includes spacecraft classics like the Hubble Space Telescope and the Voyager probe, along with asteroids like Vesta, and of course, you can always print a wrench. Just like a real astronaut! The US space agency has announced a new $2.25 million (roughly Rs. 14 crores) competition to design and build a 3D-printed habitat for deep space exploration, including Mars. 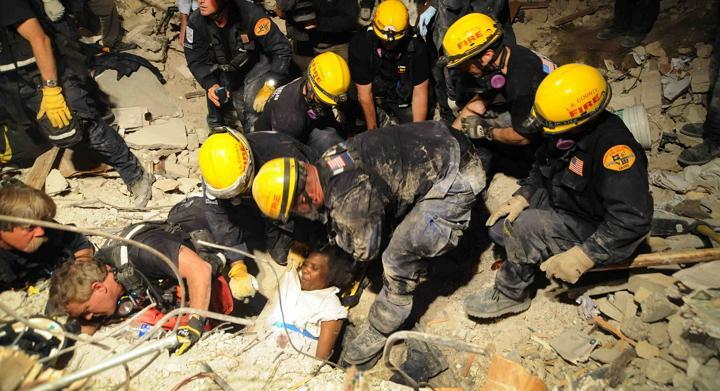 Along with the National Additive Manufacturing Innovation Institute (known as America Makes), Nasahas devised the multi-phase 3D Printed Habitat Challenge to advance the additive construction technology needed to create sustainable housing solutions for Earth and beyond. It is part of Nasa’s Centennial Challenges programme. “The future possibilities for 3D printing are inspiring and the technology is extremely important to deep space exploration,” said Sam Ortega, Centennial Challenges programme manager. “This challenge definitely raises the bar from what we are currently capable of and we are excited to see what the maker community does with it,” he added in a Nasa statement. In the first phase of the competition, participants are to develop state-of-the-art architectural concepts that take advantage of the unique capabilities 3D printing offers. The top 30 submissions will be judged and a prize purse of $50,000 (roughly Rs. 31.5 lakhs) will be awarded at the 2015 World Maker Faire in New York. The second phase of the competition is divided into two levels. Level 1 focuses on the fabrication technologies needed to manufacture structural components from a combination of indigenous materials and recyclables, or indigenous materials alone. Level 2 challenges competitors to fabricate full-scale habitats using indigenous materials or indigenous materials combined with recyclables. Both levels carry a $1.1 million (roughly Rs. 7 crores) prize each. Winning concepts and products will help Nasa build the technical expertise to send habitat-manufacturing machines to distant destinations, such as Mars, to build shelters for the human explorers who follow. “We believe that 3D printing has the power to fundamentally change the way people approach design and construction for habitats, both on earth and off, and we are excitedly awaiting submissions from all types of competitors,” said Ralph Resnick, founding director of America Makes. It was Marcel Boulestin, the first cook-turned-television star from the BBC’s 1937 show Cook’s Night Out, who insisted that cooking was not chemistry but an art. “It requires instinct and taste rather than exact measurements,” he said. If only he could see the world now. 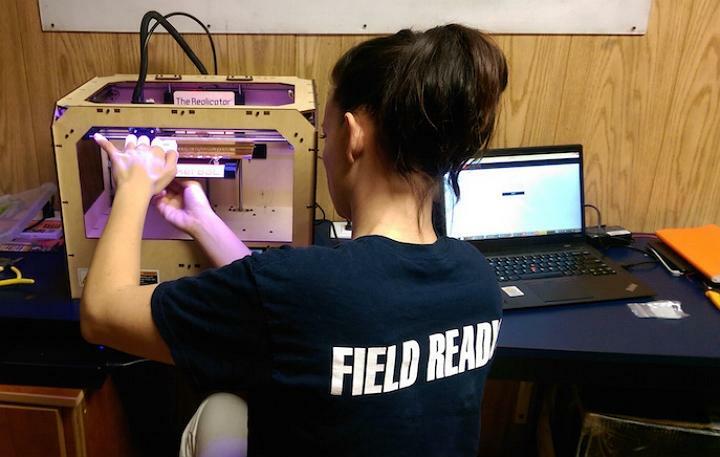 It’s 2015, and 3D printing, a technology long priced beyond many people’s reach, is quickly undergoing democratization. So much democratization that companies are trying to 3D print all kinds of new things, including food. Think about the replicators on Star Trek and the many other machines that litter science fiction movies, which prep, cook, and serve meals on command. This could actually be our future. 3D food printing has the potential to revolutionize food production by boosting culinary creativity, food sustainability, and nutritional customizability, but technical and market barriers still face it in the years to come. Most 3D printers work by slowly depositing layers of material, one on top of the other, until an object is constructed. The process is called “additive manufacturing,” and it uses deposition printers. Others bind layers together with adhesive — they’re called binding printers. 3D food printers are more difficult to explain. Hod Lipson, director of Cornell University’s Creative Machines Lab, laid out the three dominant methods of printing food at the 2015 Inside 3D Printing conference in New York City, which are nozzles, powdery material, and lasers. “You can think of it as the ‘RGB of food,’” he told Digital Trends. Many systems mix and match those approaches. 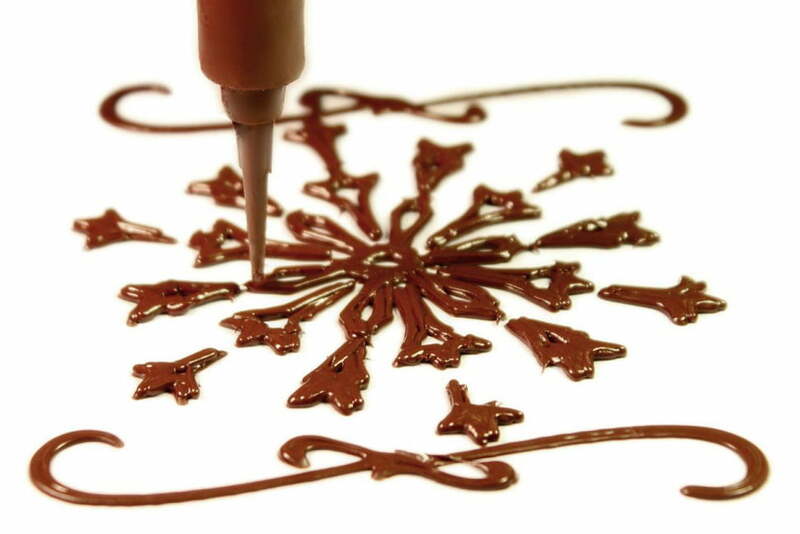 The 3D Systems ChefJet crystalizes thin layers of fine-grain sugar into virtually any geometric configuration, while Natural Foods’ Choc Edge dispenses chocolate from syringes in beautiful, melty patterns. The Foodini uses fresh ingredients loaded into stainless steel capsules to prepare a surprisingly wide array of dishes. Its latest model isn’t a soup-to-nuts solution — it only prints raw doughs, which then must be cooked as normal — but the printer can partially make pizza, filled pasta, quiche, and even brownies. None of these machines will be next in line for the Bocuse d’Or chef championship, though. Emilio Sepulveda, co-founder of Foodini maker Natural Machines, has said publically that food synthesizers like those seen in Star Trekand The Fifth Element will take “many more years” of development. But that’s not stopping early adopters. Some German nursing homes serve a 3D-printed food product called Smoothfoods to elderly residents who have difficulty chewing. Purees, the conventional alternative, typically aren’t very appetizing, which sometimes leads to under eating. Residents “get malnourished in certain cases,” said Kjeld van Bommel, a research scientist at the Netherlands Organization for Applied Scientific Research, in an interview with the Washington Post. The tastier Smoothfoods — made of mashed carrots, peas, and broccoli, which 3D printers congealed with an edible glue — are already a hit; 1,000 of the country’s facilities now serve them daily. On the opposite end of the gastronomic spectrum, 3D food printers are beginning to breach gourmet spaces. Earlier this year at the Consumer Electronics Show (CES) in Las Vegas, the Culinary Institute of America (CIA) unveiled a partnership with 3D Systems, maker of the ChefJet. The CIA plans to begin beta testing with the ChefJef, and 3D Systems will provide CIA students with fellowship and internship programs at the company’s headquarters in Los Angeles. “I think the way that happens really powerfully is when it impacts the cultural ritual of eating, which is actually a really powerful part of being a person in the world,” she clarified. Hasseln predicts most of her team’s culinary experiments, which include shaping chocolate and sugar into wedding cake toppers and cocktail garnishes, are just the beginning. Cornell’s Lipson agrees. Other chefs are looking beyond the kitchen. Dutch food designer Chloé Rutzerveld documented the creation of cracker-like yeast structures containing seeds and spores that sprout over time, and thinks the snack he synthesized and those like it — natural, transportable products printed efficiently — could someday transform the food industry. And he’s not alone. Some experts believe food printers could minimize waste by using cartridges of hydrocolloids, substances that form gels with water. Those same machines, they theorize, could also use unpalatable but plentiful ingredients — ingredients such as algae, duckweed, and grass — to form the basis of familiar dishes. In a study headed by Van Bommel, scientists added milled mealworm to a shortbread cookie recipe. “The look [of the worms] put me off, but in the shape of a cookie I’ll eat it,” he said in an interview with Popular Mechanics. To that point, people are very conservative when it comes to food, Lipson said. “Most people will only enjoy foods that are very similar to what they’ve had before. We have a very deep, visceral reaction to foods we don’t recognize,” he said. 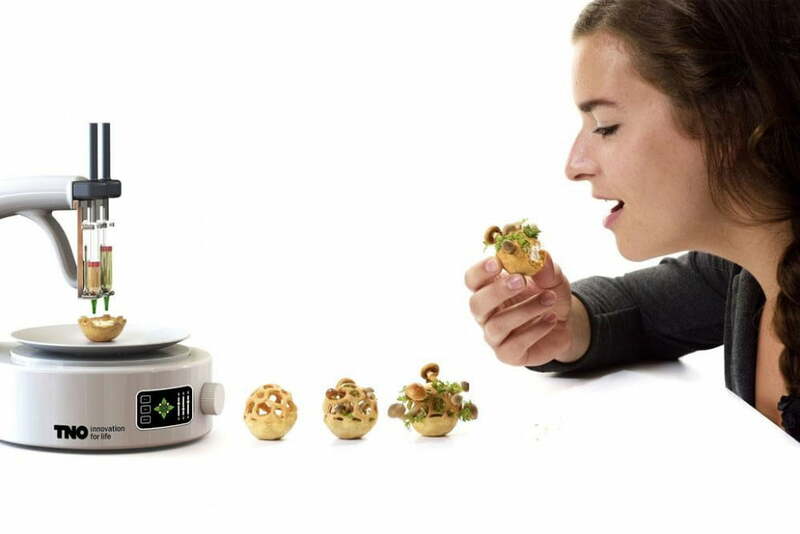 3D food printers could be used to make the unappetizing, appetizing. Anajan Contract, an engineer who’s currently developing a pizza-making printer with a $125,000 grant from NASA’s Small Business Innovation Research program, envisions a machine that can produce food from capsules of powders and oils with shelf lives up to 30 years. He believes such a printer would not only reduce the environmental impact of cooking, but also offer a renewable form of sustenance to a growing world population. 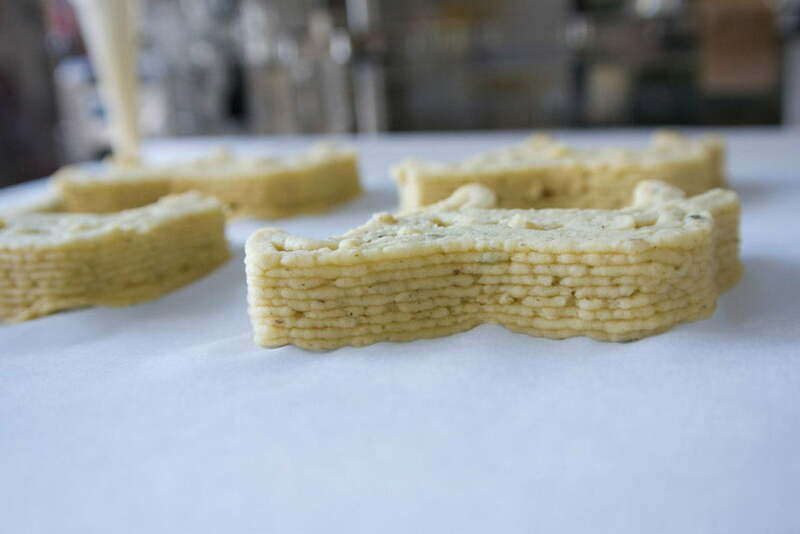 Beyond sustainability, 3D food printing holds great promise for nutrition. Lynette Kucsma, CMO and co-founder of Natural Machines, says printers like the Foodini can help people cut down on the amount of chemical additives in their food and reduce overconsumption. The food printers of tomorrow could even allow customization at the macronutritional level, allowing users individualize the amounts of calcium, protein, omega-3, and carbohydrates in their meals. “You’ll be able to say when I wake up in the morning I want the printer to print my breakfast and I want to have the right amount of trans fats, whatever we need,” said Lipson. But 3D food printing has many challenges to overcome, chief among them speed. Devices like the recently announced Carbon3D can fabricate a mind-boggling number of objects in minutes, but that level of advancement hasn’t trickled down to food printers yet. The most common designs require successive layers of ingredient to cool, leading to exceedingly long wait times for some foods. That’s not to say producing them isn’t feasible. Modern Meadow, a company in New York, raised $10 million in funding to research the production of printable biomaterials — but achieving the right texture and flavor is a lot harder. And even if scientists are able to closely replicate natural beef, consumers might not bite; in a survey by GlobalMeatNews.com, only 34 percent of respondents said they’d even try 3D-printed meat. There’s also the issue of expectations. The Star Trek replicator comes to mind when many people think about food synthesizers, but such a device would hardly be practical — a simple vegetable, like a tomato, would likely require tens of millions of different ingredient cartridges alone. “It sounds simple to say ‘we’ll have a fat cartridge,’ but there are hundreds of kinds of fats,” van Brommel explained. 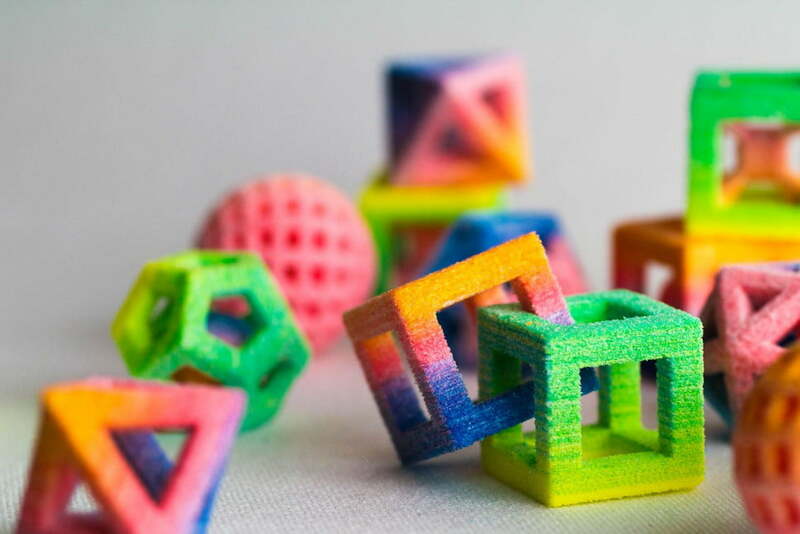 And how does the culinary world at large feel about 3D food printers? I’ll let Tony Tantillo, food expert and contributor to CBS in New York, expresses a sentiment felt by many: “Those two things shouldn’t be together. ‘Printed food’ for a magazine, yes. But to eat? Nah, nah.” Vacarro thinks they might have a place… in cheap in-and-out joints. “If I think about what’s happening in fast food, there might be something there where some fast foods are printed instead of handmade,” he said. 3D food printers may not produce great-tasting food right now, or be able to cook meals from scratch. Or have the wholehearted endorsement of the epicurean elite. But they’re getting better every year, and what they promise — sustainable, nutritional perfection — is worth the pursuit. “I don’t see 3D food printing as a novelty. I see it as something that really will become a part of the culinary fabric for years to come,” von Hasseln said recently. A lot changes in 70 years. Boulestin, like any great chef on the bleeding edge of gastronomy, would understand that. 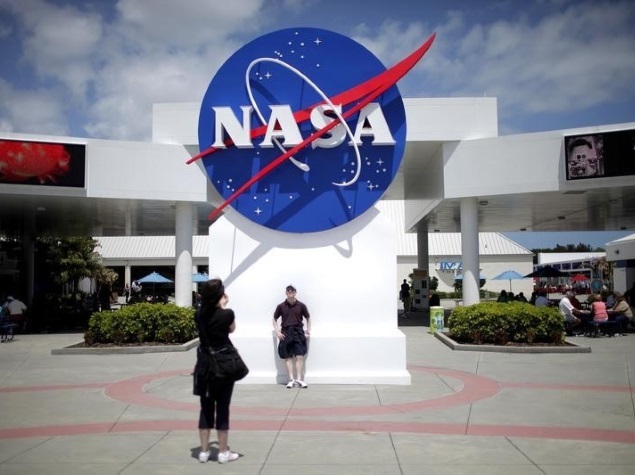 NASA are aiming to introduce 3D printers into spacecraft within two years, allowing astronauts to set up permanent habitats on other planets and even print their own food. In an interview with Newsweek, NASA’s 3D printing chief Niki Werkheiser says the technology will revolutionise space travel by allowing astronauts to be away from year for years on exploration missions without relying on ground control. Current costs for space transportation are $10,000 per pound of mass. The development therefore has the potential to save millions of dollars as astronauts can travel light and print essentials on demand whilst in space. NASA is currently developing its largest rocket yet, the Space Launch System (SLS). The SLS is due to make its first test flight in 2017 and Werkheiser says her team are working to get a 3D printer on-board. So far, Werkheiser’s team at NASA’s Marshall Space Flight Center in Alabama have produced several rocket components and a small wrench with the technology and yesterday the team announced the first successful print of a copper engine part for rockets. However, they are working on much more exciting projects, including printing parts for a small shelter using substitutes for Martian and lunar sand – the theory being that astronauts could one day use the printers to build themselves habitats on extraterrestrial surfaces. “The bottom line is being able to print anything you need in orbit. When we live on the ground, we don’t think much about running to Home Depot if something breaks but when you’re in space, even tiny things make a difference,” says Werkheiser. The space agency is also funding a Texas-based company which is researching printing food, and has already produced prototype results in the form of printed pizza. Other projects include developing a recycler which breaks down food wrappers into filament which the printer could convert into useful tools like circuit boards and batteries. Werkheiser is optimistic that commercial applications of the technology means 3D printing in space will not be a thing of the future for long. 3D products are already being touted as offering a solution to homelessness and a means of creating human organs for those in need of transplants. “The beautiful thing about 3D printing is that you’re going to see a pretty rapid evolution of commercial development. It’s going to happen,” says Werkheiser. NASA has spent some $3m on the In-Space Manufacturing project which Werkheiser heads up. The prototype 3D printer used on the International Space Station is the size of a small microwave and prints objects the size of an iPhone 6. 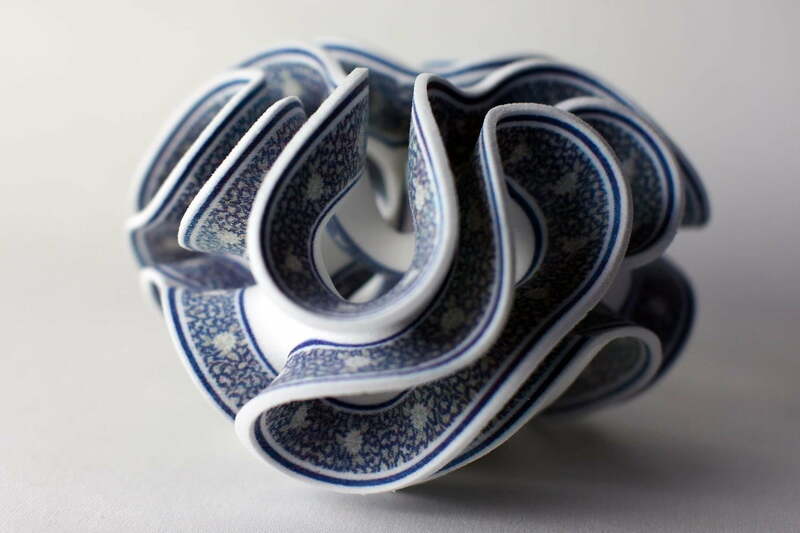 It produces objects by a process known as additive construction, using plastic filament as ink and constructing objects by a layering technique. Instructions are uplinked to the printer from ground control via email. Werkheiser’s team are working on introducing metal filament to allow the printer to produce sturdier tools. However, they are still working to overcome certain challenges posed by manufacturing in microgravity – for example, whether the layers of heated plastic form strong bonds when layered on top of each other in the absence of gravity. Nevertheless, Werkheiser believes the technology will provide the key to allowing astronauts to live in space with the same freedom as on earth. Which Other Technology Would Allow You to E-mail a Spanner Into Space? 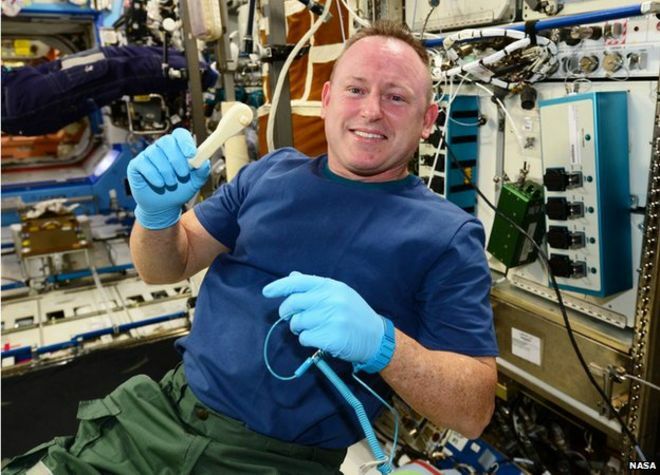 Astronauts on the International Space Station use a 3-D printer to make a wrench from instructions sent up in an email. It is the first time hardware has been “emailed” to space. Nasa was responding to a request by ISS commander Barry Wilmore for a ratcheting socket wrench. Previously, if astronauts requested a specific item they could have waited months for it to be flown up on one of the regular supply flights. Mr Wilmore installed the printer on the ISS on 17 November. On 25 November he used the machine to fabricate its first object, a replacement part for the printer. Nasa says the capability will help astronauts be more self-reliant on future long duration space missions. Mike Chen added: “The socket wrench we just manufactured is the first object we designed on the ground and sent digitally to space, on the fly. The other 21 objects were designed before the 3D printer was shipped to the space station in September on a SpaceX Dragon supply flight. 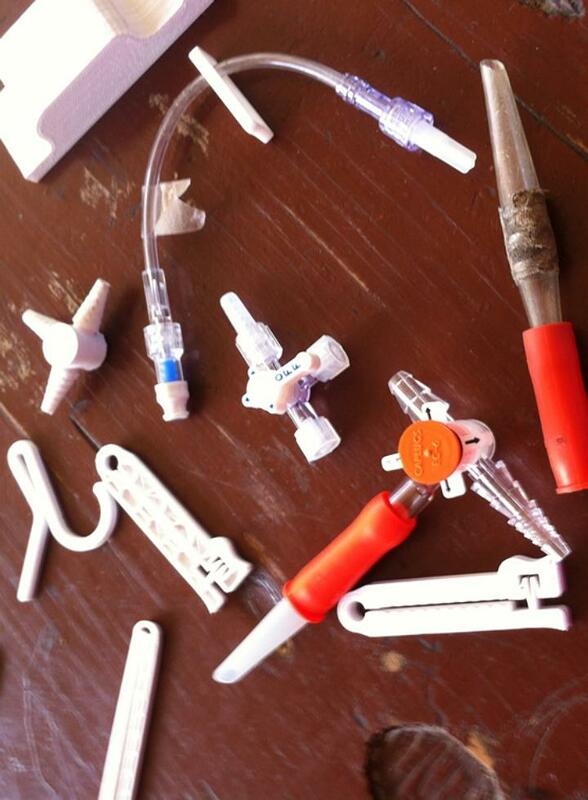 If a 3D printer can churn out something as useful as a tool in space, what else is possible? Spare parts, components, even equipment, according to the company behind the printer, Made In Space. And that’s just the start. As one might expect from an energetic Silicon Valley start-up, the vision is mind-boggling. Already it plans to send a larger 3D manufacturing machine into orbit next year. The ambition is for Nasa or other space agencies or companies to routinely send their printing orders up to the International Space Station and for a range of objects to be produced. This would open the way to create hardware not only for the ISS itself but also for equipment to be deployed beyond it, conceivably such as satellites. And, looking further ahead, the thinking becomes even more radical. Made In Space says it’s been trying out possible raw materials for its printers including a substance similar to lunar soil. So in theory, a 3D printer despatched to the Moon might be able to dig into the lunar surface, scoop up what is called the regolith, and transform it into the elements needed for a moon base. That prospect is extremely distant, obviously. For the moment, the astronauts on board the ISS will be happy to know that if they need a new spanner, they can make one in under an hour. Some space history-in-the-making for you today; the first item has been successfully 3D-printed in space by NASA! The 3D printer installed aboard the International Space Station has successfully printed its first object: a part for the printer itself. The International Space Station’s 3D printer is installed, it’s operational — and it’s now produced the first object to be 3D printed in space, completed November 24 at 9:28 pm GMT. The printer was installed on the ISS as a means of testing the feasibility of astronauts manufacturing their own parts and tools in microgravity; so the first object printed seems rather apropos. It’s a part for the printer itself — a faceplate for the extruder printhead, emblazoned with the logo for Made In Space, the company that designed and built the 3D printer for NASA, and the NASA logo. The idea behind on-board manufacturing is to minimise the shipping of parts and tools from Earth — the way astronauts currently receive such items — and expedite the space station’s self sufficiency. The 3D printer installed in the ISS’ Microgravity Science Glovebox is a model the ISS team is using to experiment with the concept. The first phase of testing will see the astronauts printing out a variety of test coupons, parts and tools. These will be shipped back to Earth to be compared with the same objects printed by an identical printer on the ground, to see how well the printer operates in microgravity. They will be tested for tensile strength, torque, flexibility and other factors. The results of these tests will allow Made In Space to perfect the second iteration of their microgravity 3D printer, which will be shipped to the ISS in early 2015. The International Space Station has received its 3D printer, installed in its Microgravity Science Glovebox to move towards self sufficiency. Astronauts aboard the ISS will soon be experimenting with additive manufacturing in microgravity, with the installation of the very first 3D printer in space. Commander Barry Wilmore unpacked and installed the printer, built by Made in Space and about the size of a small microwave oven, in the Microgravity Science Glovebox on board the space station’s Destiny module, over the course of Monday, November 17. This is the next step towards self-sufficiency for the ISS: a 3D printer capable of operating in microgravity would be able to help the astronauts manufacture their own components and tools, right there on the station. The 3D printer installed in the MSG isn’t quite that printer yet — the astronauts will be using it to test how well 3D printing works in microgravity, and whether the objects printed will be as accurate as those printed on Earth. The printer will use a relatively low-temperature plastic feedstock, while the MSG will keep the astronauts safe from any potential malfunctions. The first phase of printing will include a series of engineering test coupons. These will be sent back to Earth to be compared with control samples made by the same printer while it was at NASA’s Marshall Space Flight Center in Huntsville, Alabama, before being sent up to the ISS. Commander Wilmore also performed the first critical system checks on the printer to make sure that it is operating as it should. Hardware and software are both in full operating condition. Check out this interview with Mike Chen, the Chief Strategy Officer for Made in Space, to see his vision of how 3D could revolutionise space! Made in Space Chief Strategy Officer Mike Chen discusses how 3D printing can change the game of space exploration. Mike Chen, Chief strategy officer at Made In Space says that launching a 3D printer into space will enable huge efficiencies in space exploration. Currently, any parts needed to fix the International Space Station have to be taken up with astronauts in a rocket. Sending a printer into space will allow objects to be made in orbit, without wasting fuel carrying extra parts.